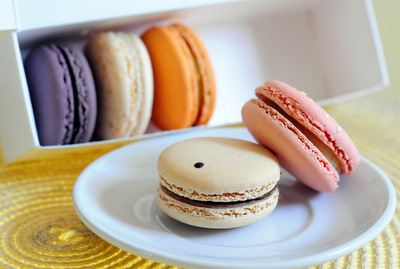 ‘Lette Macarons is a macaron boutique based in Los Angeles. 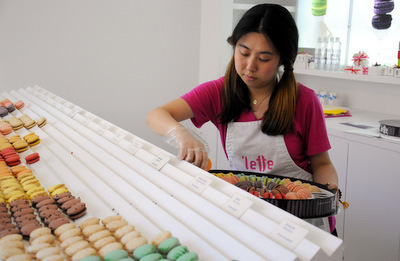 It was started by Paulette Koumetz – who the shop is named after – and chef Christophe Michala, and the intention was to bring quality French macarons to Los Angeles. The first shop and bakery opened in 2007 in Beverly Hills and that store is still there, selling macarons by the dozen to fans everyday. ‘Lette is a little bit bigger than it used to be, however, as they now have a few more locations and had to move their main bakery a couple of blocks away from that original store. 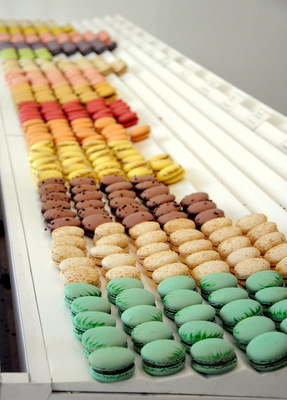 The store has a great modern look with lots of white – and it is perfect for showcasing the colorful macarons in the case. I stopped in the other day to sample some of the best sellers, as well as their newest seasonal offering, a New Orleans Praline. 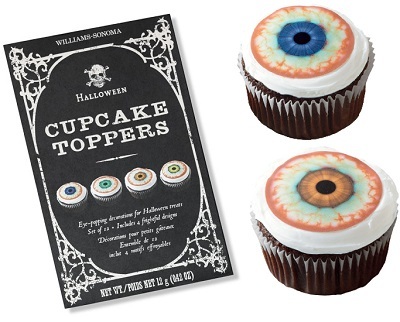 They have about a dozen flavors available at any given time, as well as limited edition flavors that change with the seasons and the holidays. Their shells are all brightly colored and have a classic almond flavor. 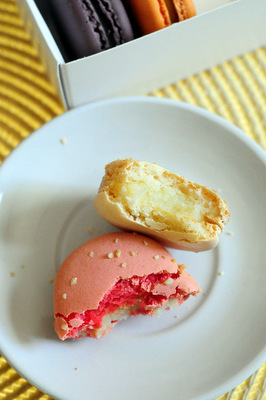 The flavor for the macarons comes exclusively from the fillings, which range from homemade jams and preserves to decadent ganaches to sticky caramels. 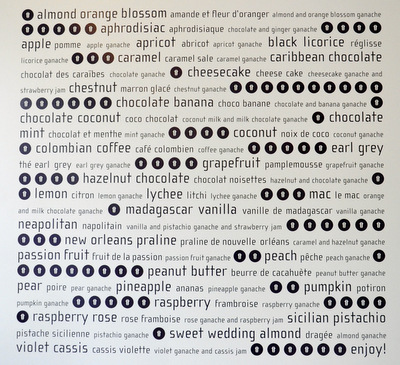 Reading the huge list of flavors on the wall almost makes you wish that they had more flavors in stock at any given time – but it is hard enough to choose when you’re looking in the case. The Praline had a classic Southern praline filling that was well balanced, but it wasn’t my favorite. I’m a much bigger fan of the silky-smooth Salted Caramel, the macaroon-like Coconut and the not-too-sweet Coffee, but wouldn’t turn down any of the flavors.Â Sweet Wedding Almond has a delicious marzipan flavor and is one of their best sellers. The shells are perfectly shaped and have the perfect texture, so they are never too wet or too dry. These are easily my favorite macarons in LA right now. 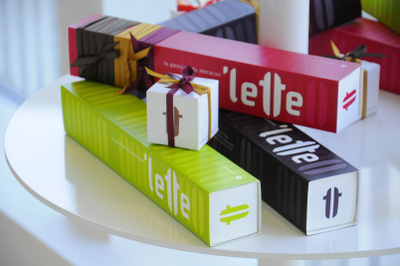 ‘Lette is also known for their lovely packaging. Their boxes showcase their product perfectly, with pops of color that are reminiscent of the cookies inside. My favorite box is their 60 macaron gift box – and while I was in the store, someone came in to order one for a friend’s birthday party so I got to take a few pictures of it as it filled up. The box is custom designed to hold the macarons upright in little cutouts that protect them from breaking as you transport them. They’re arranged in circles that make the cookies look like a rainbow when the box is filled. This is a great dessert tray to take to a party! Foodies definitely know what macarons are, but the gals who worked in the shop told me that they have customers coming in every day who aren’t familiar with them – including kids who are drawn to the bright colors thinking that they’re toys, before they realize they’re cookies. It usually only takes one taste to win them over. It is definitely worth stopping in to pick up a small box to try yourself – even if you’re not on your way to a party where you need a giant box of them! 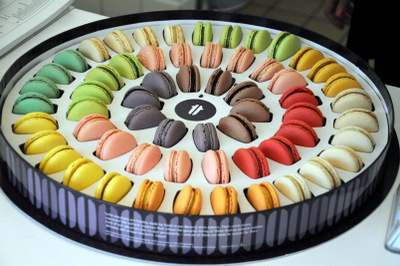 I love the round macaron box. I live in South Florida and my daughter requested macarons for her birthday cake. 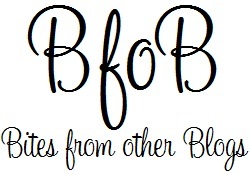 I made them and am now obsessed. Can I buy one of these boxes from you?